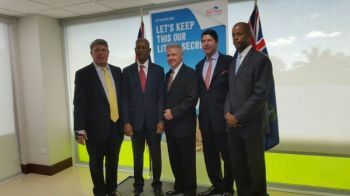 ROAD TOWN, Tortola, VI – Former BVI Airways owner, Luke Smith, essentially signed away his interests, including shares in the company, for a mere $650,000, after being promised stocks worth up to $5M. This, according to the former airline owner, in a sworn affidavit, filed in the Supreme Court of the State of New York, United States of America (USA). According to court documents seen by our newsroom, at the time of the sale of his controlling interest in the company in September 2013 (and finalized in 2014) to Jerry D. Willoughby and Scott A. Weisman’s Etico Capital LLC’s, he would be paid $650,000, with a term sheet dictating 20 per cent interest in the airline. He would also be retained as Chief Operations Officer (COO) on a three-year contract. Smith said this was after he ran into financial difficulties with the airlines and had owed his lessor, the greater part of his $475,000 debt at the time. In February, 2014, Smith says he was presented with another Stock Purchase Agreement, this time with Colchester Aviation LLC—a new company that had been formed by Willoughby and Weisman—Etico Capital’s principals. According to Smith, this transaction drastically altered the conditions of the terms sheet he had signed with Etico Capital and the same two men—Willoughby and Weisman. 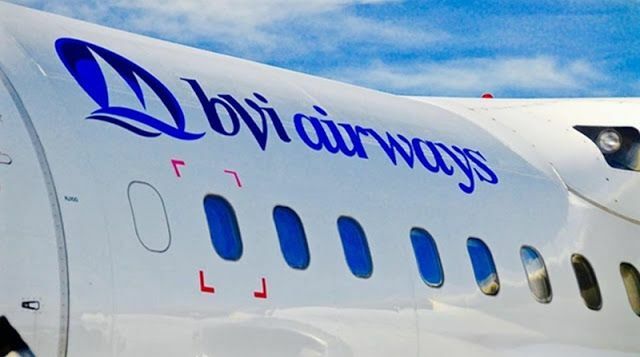 He said, the new Agreement not only changed the investor in BVI Airways from Etico Capital to Colchester Aviation but it also eliminated a purchase price and requiring a promissory note be signed where the airline would pay Colchester $300,000. 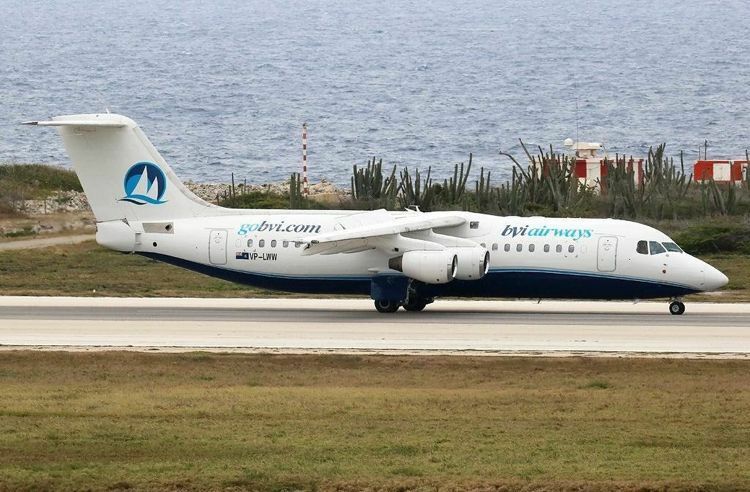 Smith’s interest in the airline would further be reduced from 20 per cent ownership, to 15 per cent ownership. The former airline owner claims, his employment terms were also changed whereby his salary was reduced from $120,000 a year for the position of COO, to $96,000. Smith however, conceded to signing two Promissory Notes and a Pledge Agreement and Willoughby in his Affidavit points to the default clauses which caused Colchester to lay claim to the former airline owner’s shares in BVI Airways—further edging him out of the company he founded in 2009. Willoughby in his affidavit, points to three documents signed by Smith—two Promissory notes one in February and another in April and a Pledge Agreement. These documents combined, not only—purportedly—allow Colchester to seize Smith’s shares but refer any disputes to the Supreme Court of the State of New York and not to be determined in the Virgin Islands (VI). 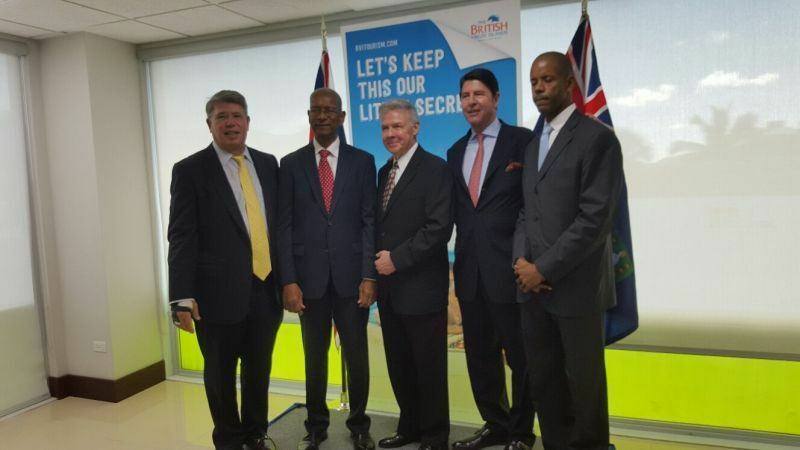 He also points to the two-year contract for Smith, as COO of BVI Airways. This would mean that Smith sold 80 per cent of his company to Etico Capital, a company owned by Willoughby and Weisman. Willoughby and Weisman then—as confirmed in his affidavit—caused all of the shares including Etico Capital’s 80 per cent and Smith’s remaining 20 per cent, to Colchester, the company Smith said, he later found out had not been registered in Delaware and New York. The Colchester Executive claims that after his company acquired 100 per cent ownership in BVI Airways—with Smith holding 10,000 membership units—it was discovered that the company’s liabilities had been misrepresented and was in fact greater than presented initially. Willoughby, in his affidavit, said Smith at this point agreed to sign the first of the Promissory Notes. These, he said, was to compensate Colchester for the substantial time and effort taken to resolve, discharge and restructure the undisclosed liabilities. The First Note dated February 1, 2014, commits Smith to paying Colchester $125,000 at a specified rate and with interested, also determined at a specified rate. A second Note was inked the following month, again committing Smith to making another $125,000 payment at specified rates and tranches. Smith in the Note also agreed to submit all disputes to the exclusive jurisdiction of the courts of the State of New York. Smith, admittedly never paid Colchester any of the amounts in the Promissory Note and as such, Colchester—using the Pledge Agreement—levied on the remaining interest. Smith ended up losing BVI Airways to Colchester—the company, he later found out, was not even registered in Delaware of New York—for a Term Sheet that said he will be paid $650,000 cash and a promise of millions more, in stock options. But these two Guys are real Con-Artists. Wow I almost feel for Smith. So they turn now and Con Orlando Smith out of 7 million of our money. Ok Ok what did Premier Smith agreed to and WHERE ARE OUR PLANES. HOW DO WE GET OUR MONEY BACK FROM THESE TWO CONMEN. Premier you need to be taken out back and get a planass with a tamarind bush, Man. We elect you not them. You as a leader needed to show more interest in your people, Man. The minute you all get elected you try to play that you know these people and LOOK They School your behind. Easy CASH. The other one talk about Rich White Friends but none of you all would never get that the Rich White Friends only love is Money and Power and not You Guys. You Guys are only a Resource. Two Dudes School the Premier. Tip Toe on The Tulips. Did any of these guys pay “finder fees” (kickbacks, payola) to anyone at our airport or any of our elected officials? Orlando never got conned, they know full well what is going on. Dr Smith just need to go jail period point blank!! What a twisted. tangled web of con artists. The con artists swindled the BVI taxpayers out of $7.2M; the $7.2M is a lost cause; the BVI will at best recoup pennies on the dollar. Nonetheless, the taxpayers must be made whole; they need to know the details of what happened to its $7.2M. The responsible parties cannot be prosecuted for stupidly. However, if laws were broken, that is another tory. This is a royal mess that makes one’s head spin. 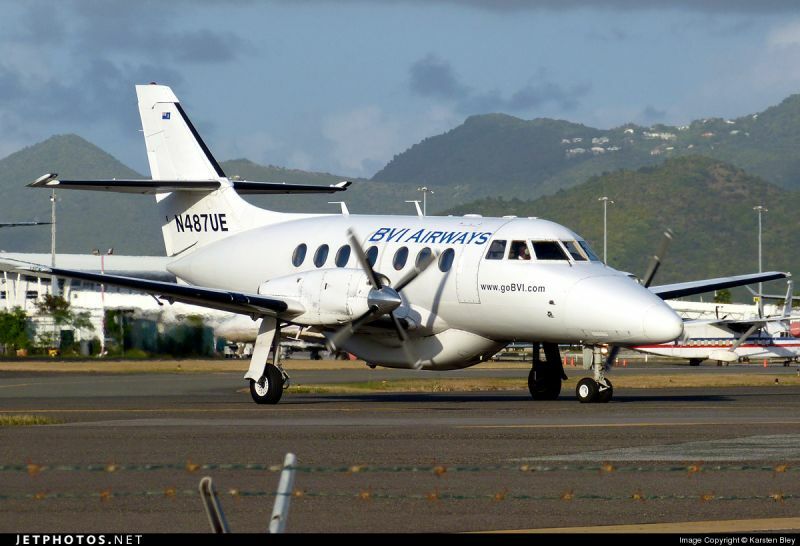 According to the photos in this news article there are 2 BVI Airways planes: a 4 engine jet and a 2 prop plane. Where are these planes now?? This BVI Airways scam appears to be unraveling in the exclusive jurisdiction of the Supreme Court of New York State. Maybe some current NDP Ministers will eventually be sharing a cell with Mafia inmates at NY's finest accommodation in Ossining, NY where they all can enjoy to long cold dark winters.! The jet has been sitting in Canada since August last year. You can track it using FlightAware flight tracker enter tail number VP-LWW as seen painted on the aircraft. The typical dealings of these guys. When they showed up on the shores of west Africa it was the samething. Our leaders are just not conscious enough to handle relations with them that's why we needed the Wheatley guy in UK and more like him who are conscious enough & comfortable enough to see thru the fancy words and know when they're speaking with forked tongue. Doctor Smith u waste 7.2millon and don't have to answer to a soul we could talk/ vent all day but you will never be held accountable for this ppl going jail for robbery/burglary and getting years you let go 7.2 and you and ur wife still living gd with y'all money.the country still cnt catch it self Ayo crazy in the bvi.. Wait. Smith ended up giving them the airline in exchange for a loan that he had to pay the airline? WHO got our 7 large? Did we give it to Smith, Colchester, Etico, BVI Airways, or someone or something else? I think NDP should have had Claude Swine handle the plane deal. It might have cost the tax payer 47.2 million though.